This year's Turner Prize winner shot her entry with the everyday device. Now that smartphones have become commonplace, it’s easy to take their capabilities for granted. 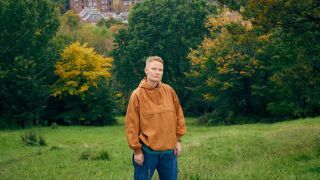 And while plenty of us use the best iPhone apps to refine our digital art, play around with typography and enhance our photos, Glasgow-based artist Charlotte Prodger has used her iPhone to shoot a personal film that yesterday won the prestigious Turner Prize. Named after the great and controversial painter J.M.W. Turner, the annual prize has become famous with both art critics and the general public for celebrating visual work that pushes boundaries. Prodger’s two short films are the latest to scoop the £25,000 prize, past winners include Simon Starling’s converted shed and Mark Leckey’s found footage exhibition Industrial Light and Magic. One of Prodger’s films in particular, the intimate 32-minute film, Bridgit, has made headlines this year due to it being filmed entirely on her iPhone. Featuring painterly clips of her home life, views from train windows and the Aberdeenshire countryside, the film explores themes of gender and identity with spoken narration that lifts excerpts from her diaries. But why has this film, and not the accompanying piece, Stoneymollan Trail, caught everyone’s attention? Perhaps it’s because the idea that something so ordinary as an iPhone can create prize-winning art makes creatives reevaluate the world and tools around them. For Prodger, though, using an iPhone taps into traditional filmmaking techniques. Speaking to the Tate, she explains that she wanted to honour filmmakers who could judge the length of a film by weighing a reel of celluloid by hand. "I'm very excited about the intertwining relationship between the body and technology." And given how tactile smartphones are, with their touchscreens and rotating cameras, Prodger argues that an iPhone is a hybrid of technological wizardry and analogue art tools. "It becomes very material, almost sculptural." See for yourself how an iPhone can create art with this clip from Bridgit.